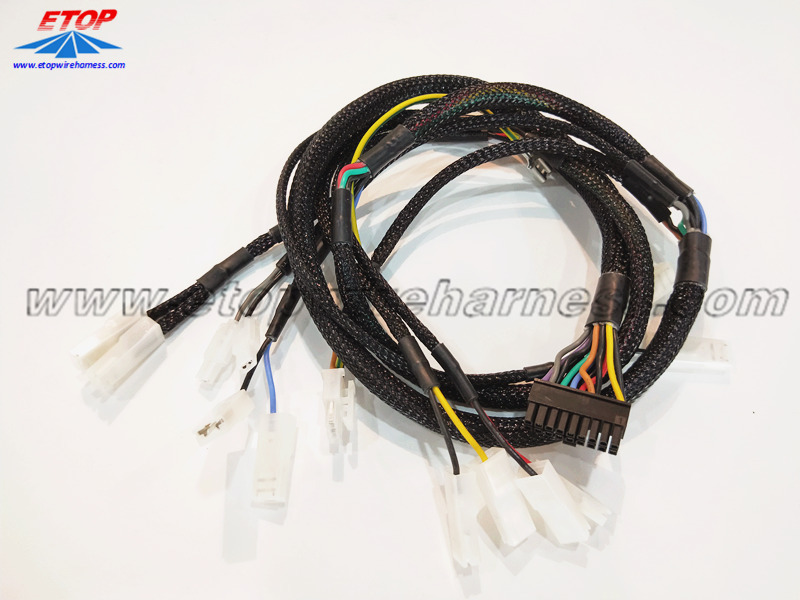 This custom Wire Harness kits assembled with 250 series terminal with sleeve by 94V-0 standard. The complete loom protected with braiding sleeve, for high temeprature and used in toaster. 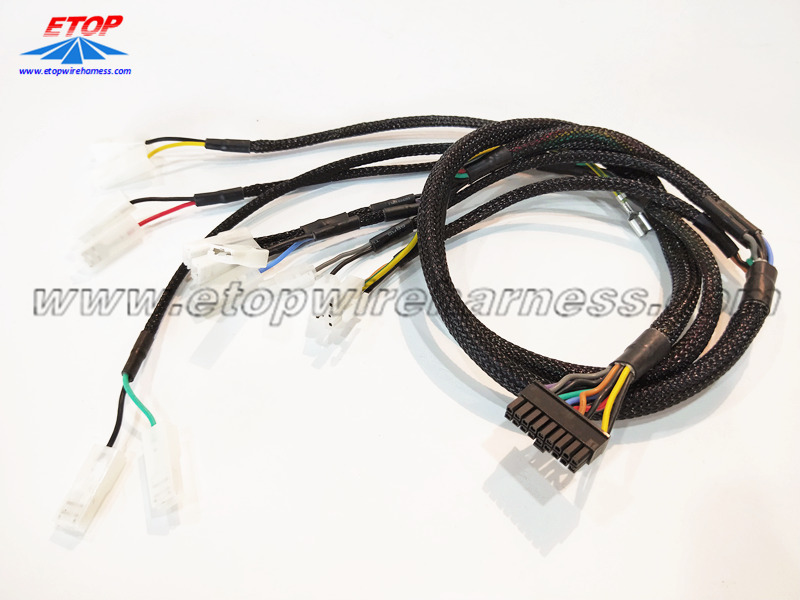 All terminals, like 187 and 250 series crimped with special blade. 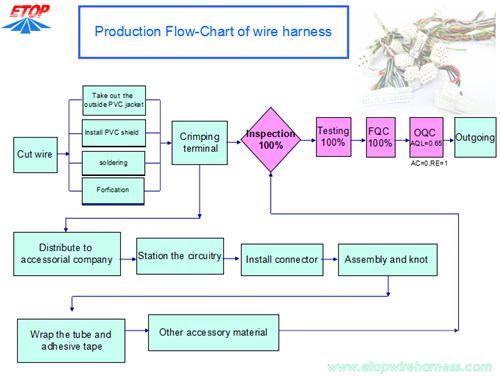 All pulling force is ok to meet the IPC620 requirement. 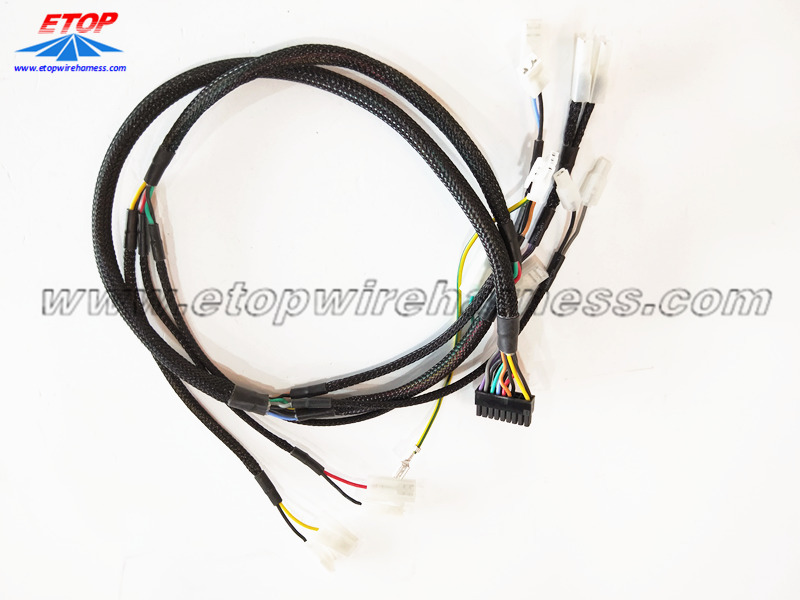 We fix the size with clip by 1:1 fixture. 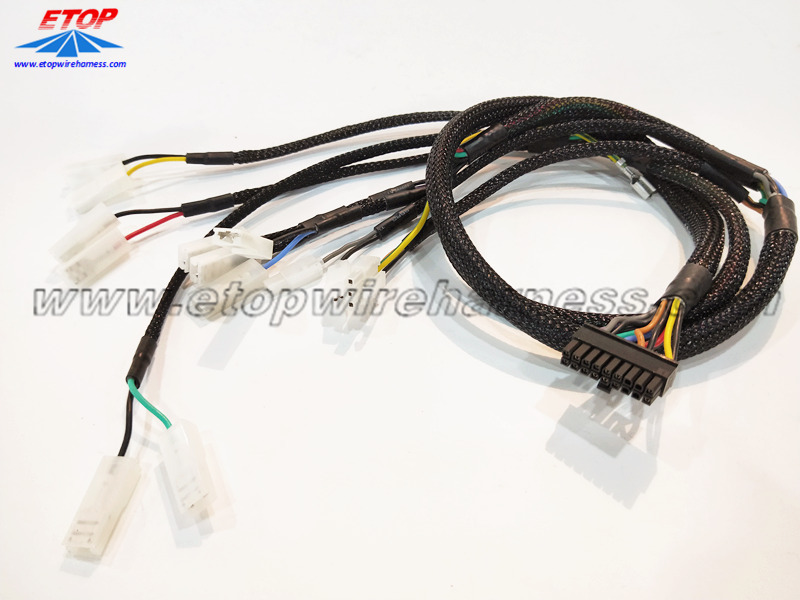 We can also support customer for various cable kits applied in home appliances, electric machine, automotive, industry, etc. 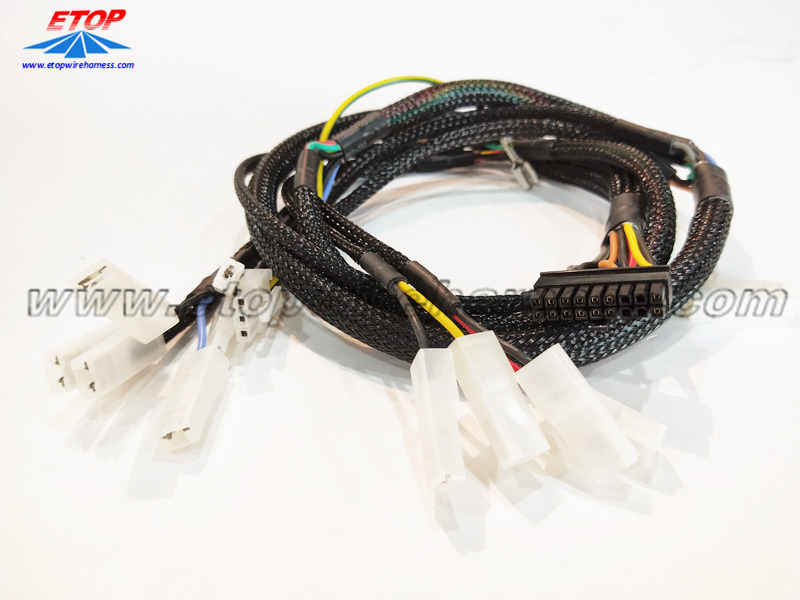 Looking for ideal Wire Harness Kits for Home Appliances Manufacturer & supplier ? We have a wide selection at great prices to help you get creative. 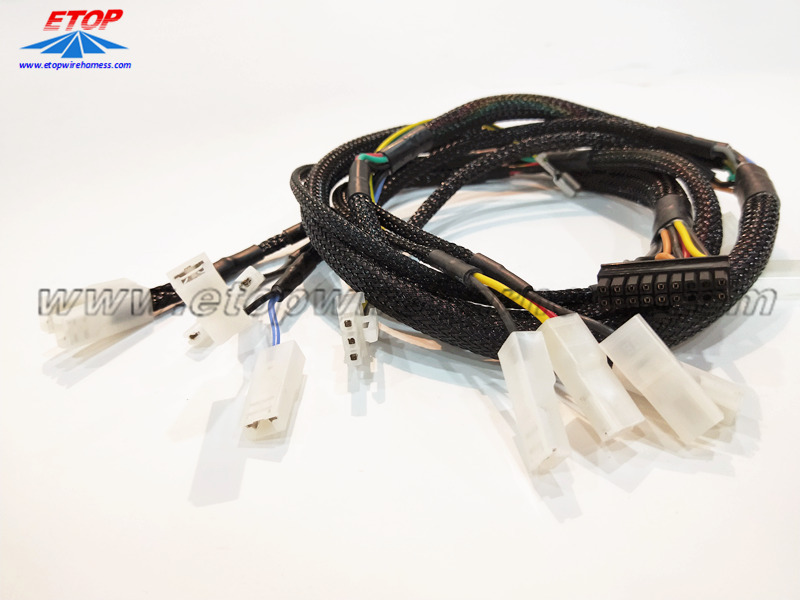 All the Cable Assembly Kits for Electric Machine are quality guaranteed. 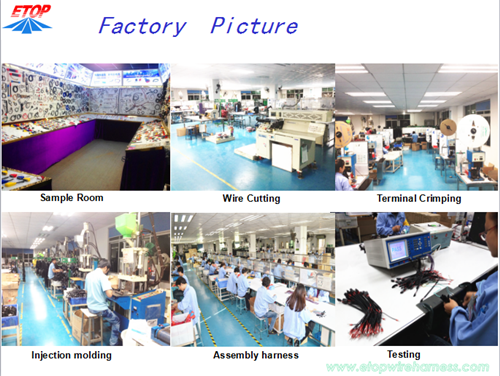 We are China Origin Factory of Wiring Assembly Kits for Oven Machine. If you have any question, please feel free to contact us.